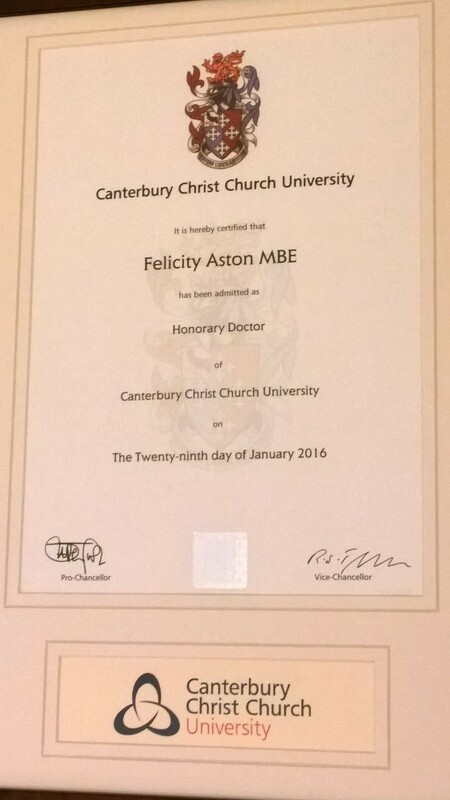 On Friday I was very privileged to attend a wonderful ceremony in the magnificent Canterbury Cathedral to receive an Honorary Doctorate from Canterbury Christ Church University, awarded by its Chancellor, The Archbishop of Canterbury. I was particularly touched when Vice-Chancellor Rama Thirunamachandran explained that it was the values behind my projects and expeditions that had led to the recognition from the University. I am very proud of that. It was also inspiring to be among so many graduates setting out on a new journey in their lives - thank you for sharing your day with me!